Emmy Jo wants to invite the whole town to her wedding. She's determined to show everyone who judges her family that a Massey woman can get married. Emmy Jo is Tandy's great-granddaughter and they have a special bond. Her great-grandmother raised her as well as she could. 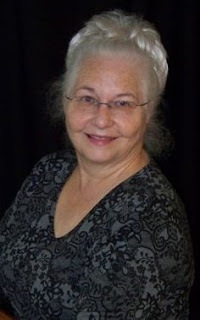 Tandy is a woman who commands respect, but she has enemies in town and one of them is Seth, a local recluse. To pay for her dream wedding Emmy Jo is doing something Tandy doesn't like, she's going to work for Seth. He's just broken his hip and needs an assistant. Tandy isn't happy with Emmy Jo's plans to marry Logan, family of another man she greatly dislikes, so she's doubly dissatisfied with her great-granddaughter's decisions. She doesn't tell Emmy Jo why, but Emmy Jo is curious enough to dig up information and find out more about her great-grandmother's past. She likes Seth a lot and wants to get married without any feuds overshadowing the wedding. While looking into the past Emmy Jo discovers much more than she bargained for and knowing her family history will drastically change the course of her future, will she be ready for this? The Lilac Bouquet is a beautiful story about family, true love and secrets. I absolutely loved Emmy Jo. She's a sweet girl with a heart of gold. She can also stand up for herself and knows how to make people like her. She's a wonderful charming main character and I greatly admired her open and disarming personality. With the gentle and handsome Logan she's found true love and is willing to fight for it, which is something I liked a lot. While doing this she uncovers plenty of intriguing secrets that kept me glued to the pages. I read The Lilac Bouquet in one sitting and loved every single sentence. Carolyn Brown knows how to set a brilliant atmosphere. That's one of the things I love the most about her books. I can easily picture everything she describes and always like what I see. Her detailed and dynamic ways of creating a scene are priceless. She constantly manages to make me smile. Her stories are surprising, entertaining and original and The Lilac Bouquet completely enchanted me. It's a wonderful story that I highly recommend. I'm so happy that I've found another true gem that will stay with me for a very long time. If you love stories about friendship, true love, family and secrets set in small towns you don't want to miss The Lilac Bouquet. 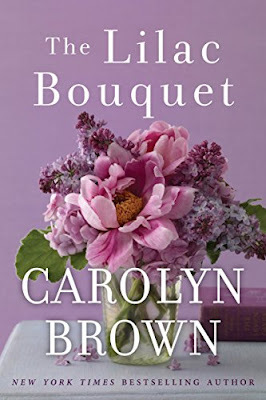 One very lucky reader of With Love for Books will receive a signed paperback or Kindle copy of The Lilac Bouquet by Carolyn Brown (winner’s choice). The Lilac Bouquet sounds like a compelling story about friendship, secrets and forgiveness. I absolutely love stories set in small towns. Since the author lives in a small town herself, I expect this book will be great. this sounds different from what I usually read, which would be a refreshing experience and quite a good change! Look forward to taking a read! Such a lovely cover too. It sounds like a real page turner. Thank all y'all for the comments and thank you, Lisa, for that amazing review. That was a book of my heart, written in the first draft more than 40 years ago and drug out every few years to try to get it right again. Finally, I got Seth's story down just right!! Beautiful book, I would love to get the chance to read this! The cover is absolutely stunning and the book sounds a great read of weddings, forgiveness and secrets. Can't wait to read it. :) A bit of wedding fever in our house at the moment, as my niece is getting married next month too (sorry for the random comment). Oh, it's Carolyn again. I do think her bio is so funny and so true of small town life!